The jig is up! Collectors around the country have been reading the recent reports on Haulsofshame.com and they are identifying and reporting to our “Tips” line, both public and private sightings of baseball treasures that have been stolen from the National Baseball Library in Cooperstown, New York. While it seems like the Baseball Hall of Fame would much rather sweep the evidence of a growing scandal under a very large rug, new evidence of the thefts is surfacing at a most alarming rate. It’s a national disgrace, and Haulsofshame.com is the only media outlet covering the disturbing story of the massive thefts from baseball’s national shrine. Crooked collectors, auctioneers, authenticators and dealers have profited from the black market trade of the Hall of Fame’s treasures, while purchasers of the contraband material are finding themselves holding some very expensive bags. These unfortunate collectors are learning what to look for on items that have been wrongfully removed from the Cooperstown museum. The scope of the scandal appears to be growing rapidly and past donors of materials to the museum, which relies solely on donations to enrich its collections, are wondering how this all could have happened? Rare, one of-a-kind photographs and historic documents detailing the day to day business of baseball at the turn of the century have vanished from the Hall of Fame’s collection, but thanks to the vigilant eyes of our readers, many of these gems will hopefully make the pilgrimage back to Cooperstown, like fans do every year. 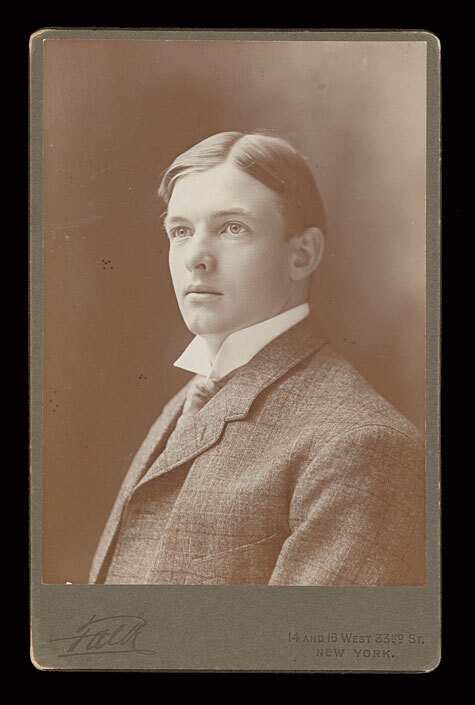 This is the reverse of the rare Falk cabinet photo of Christy Mathewson, which shows the letters “PD” written in red marker, a designation written by Hall of Fame employees on photos to show that the image rights are “public domain.” This past May, when New Jersey Auction house Robert Edward Auctions attempted to sell a rare cabinet card of Hall of Fame pitcher Mickey Welch marked “PD” (but altered to appear as “BOB” instead), the FBI stepped in and stopped the sale. Collectors learned that the “PD” mark was something that they should avoid at all costs. Honest collectors have also decided to report sightings of other stolen items like the cabinet photo of Hall of Fame legend Christy Mathewson. The back of this Mathewson photo reveals the Hall of Fame's "PD" designation for "Public Domain." In addition, the museum's accession numbers have been either covered or removed. This card sold for over $12,000 in a 2008 MastroNet auction. 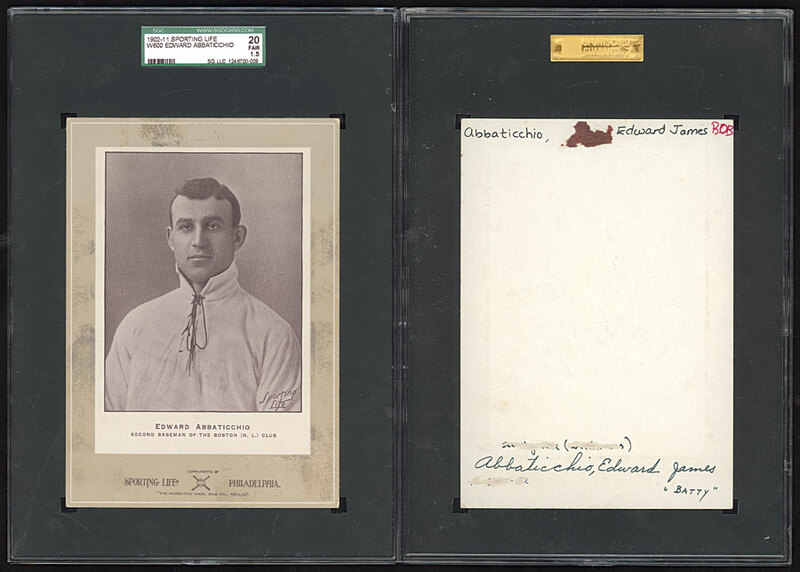 This W-600 Sporting Life Cabinet of Boston’s Ed Abbaticchio was stolen from the HOF, as evidenced by the “PD” designation altered to read “BOB,” in red marker, on the reverse. The card was graded and encapsulated by SGC and sold by MastroNet in a 2008 auction. This rare letter penned by hall of Famer John M. Ward was stolen from the National Baseball Library's "August Herrmann Papers" collection. 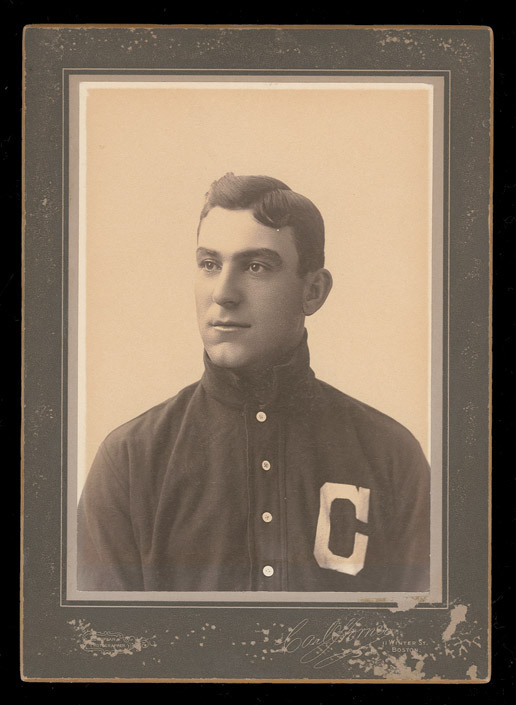 This Horner cabinet photo of Nap Lajoie has evidence of the red "PD" mark of the Hall of Fame on its reverse, along with additional evidence of the vandalization of the museum's acession number. Additional “Tips” have come to our attention in the form of old advertisements publicizing the sales of stolen items from the Hall of Fame collection. One in partiicular was a March 24, 2000 ad from Sports Collectors Digest placed by Virginia dealer Kevin Keating. 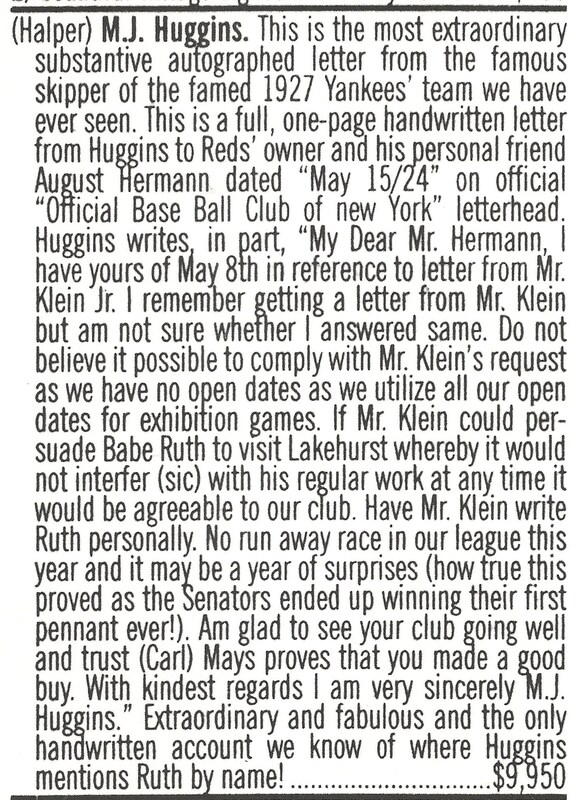 Keating offered a May 15, 1924 letter written by Hall of Famer and NY Yankee manager Miller Huggins to August Herrmann for $9,950. 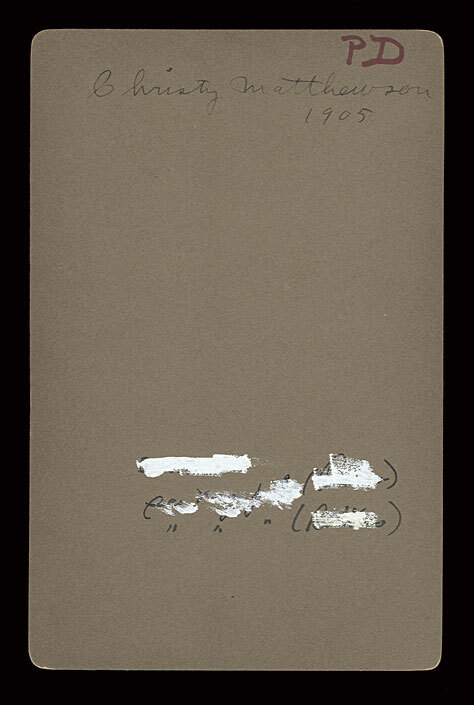 Keating indicated in the ad that he acquired the stolen letter (and others) from the 1999 Sotheby’s Barry Halper Collection auction. The Halper Collection and the Sotheby’s Halper Auction in 1999 were riddled with items stolen from institutional collections, including the Baseball Hall of Fame. 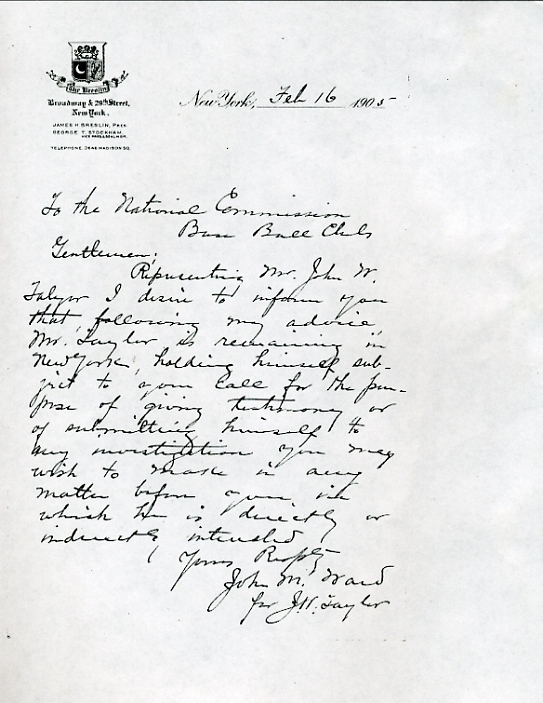 Dealer Kevin Keating offered this Miller Huggins letter, stolen from the Baseball Hall of Fame, for $9,950 in SCD. The New York office of the Federal Bureau of Investigation is presently investigating similar baseball thefts from the New York Public Library’s A. G. Spalding Collection and FBI spokesperson Jim Margolin has indicated that the Cooperstown thefts are out of their jurisdiction. An investigation into the Hall of Fame thefts would have to be conducted by the Albany, NY office of the FBI. Albany FBI special agent Paul Holstein recently told Haulsofshame.com that he could “neither confirm nor deny” if an investigation into the Hall of Fame thefts was underway. Brad Horn, the Hall of Fame’s Senior Director of Communications was traveling and unavailable for comment. The revelation of additional stolen Hall of Fame photographs being sold to collectors comes at the same time the Cooperstown museum announces its initiative to digitize the National Baseball Library’s 500,000 photographs. The plan involves a partnership with the EMC Corporation, which will sponsor the digitization of the collections. The Hall of Fame’s hope is that their collection of images will be available for fans online within the next three years. We can only hope that the Hall recovers their missing photograph holdings in time for them to be included as part of their ambitious project. Thanks to honest collectors passing along these vital sightings of stolen items, the Hall of Fame just may have a head start in their efforts to recover what’s been swallowed up by the black market of baseball artifacts. One of our most astute readers points out that the Hall of Fame markings on the reverse of the stolen Falk Mathewson cabinet most likely read: :”Piero and Rollins” and “see neg. file”. The third obscured line is likely the “BL” accession number denoting the donor information. Wow, Peter, this is great! Please keep up the excellent work on publicizing these thefts, particularly noting, as you did here, ways to identify potentially stolen items appearing on the market! Another reader points out that the markings on the reverse of the Matty card indicate the names of local Cooperstown photographers, Bob Pierro and Frank Rollyns. Are there any people being prosecuted on this? That needs to move forward in order that the middle men get to be a little less trusting…and not just worried about their seller %’s or fees. Auction Houses need to be proactive and I hope they are heeding your warnings. The Mathewson cabinet by Falk has been shown many times over at the net54baseball.com message forum. Current owner appears to be a Mr. David McDonald “Kawika”. Who is accountable here? Fake jerseys on display photos and rare letters walking out the door. What the hell is going on at the Baseball Hall of Fame? If it is true that the collector posted this on an internet forum, it would appear he musn’t have known it was stolen. Looks like he may be a victim who’s out big bucks. Maybe billionairess Jane Forbes Clark who runs the Hall should dip into her pocket and cut a check to this guy- and get back the donor’s property for the museum. Time to lead and clean this mess up instead of hiding behind your spokespeople. I found an 11″x14″ print of shoeless joe jackson with the ‘PD’ mark and ‘CREDIT NATIONAL BASEBALL LIBRARY COOPERSTOWN NY’ on the back, in a thrift store for $15. I just contacted the Hall of Fame and we’ll see what happens next.